Norway’s government minister in charge of environmental and climate issues, Vidar Helgesen, will now have to decide the fate up to 24 wolves that county officials want to shoot within established wolf zones. A pending slaughter reaffirmed by local authorities on Monday has sparked strong protests both inside and outside the country. By a vote of nine to one, wildlife authorities in Hedmark, Østfold, Oslo and Akershus voted to uphold a controversial decision earlier this autumn that a total of as many as 47 wolves, including those found outside the zones, may be shot during authorized wolf hunts. The authorities, backed by farmers who feel their free-grazing sheep are threatened by wolves, contend that Norway’s wolf population has grown too large. It now numbers around seven families, and a majority of the county wildlife commissioners (rovviltnemndene) concluded that cutting it by more than half won’t threaten the species that conservationists have rebuilt from near extinction in recent years. Protesters are outraged and are already planning a variety of demonstrations to stop the wolf hunt. The demonstrations will follow the delivery of anti-hunt petitions signed by 57,000 people, major email campaigns and a demonstration in front of the Norwegian Parliament earlier this month. It’s the pending slaughter of three wolf families in the rural, eastern county of Hedmark that’s causing the strongest protests, while the reestablishment of wolves around Oslo is also subject to calls for protection. The leader of the wildlife commission in Hedmark, Arnfinn Nergård, has categorically denied that the Parliament’s own goal of having four to six thriving wolf pups born every year will be threatened by the hunt. Now it’s up to Norway’s minister of the environment to decide on an appeal of the commissioner’s decision. Silje Lundberg, leader of Norway’s chapter of Friends of the Earth (Naturvernforbundet) claims the four families targeted in the hunt do not threaten grazing sheep that ranchers in Norway traditionally allow to roam freely during the summer months. She was among those condemning the planned hunt once again on Monday. The wolf hunt has already been covered in media in at least 30 countries and been bad publicity for Norway. 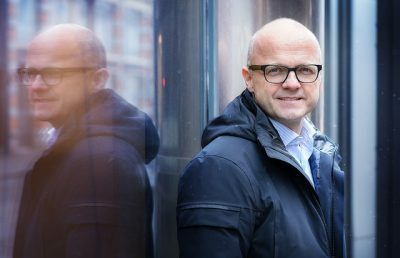 Helgesen, of the Conservative Party, has been non-committal so far, saying only that he’s been made acutely aware that the wolf hunt is highly controversial.